This entertaining tale tells of a puddle full of promise, where Marco's beautiful, imaginary fish come to life. 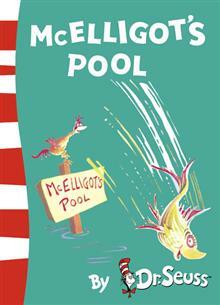 Who knows what fantastic creatures might swim in McElligot's Pool! This entertaining tale tells of a puddle full of promise, where Marco's beautiful, imaginary fish come to life. Who knows what fantastic creatures might swim in McElligot's Pool! By combining the funniest stories, craziest creatures and zaniest pictures with his unique blend of rhyme, rhythm and repetition, Dr Seuss helps children of all ages and abilities learn to read. This is a yellow-back book. Ideal for fluent readers, and great fun for practising reading aloud. They also make wonderful bedtime stories for younger children.